As the minor league season winds down, now is the time of year that many Major League teams assess their affiliates and decide whether to continue the partnership by signing a Player Development Contract or not. The PDC is the agreement that creates an affiliation between the Major League team and the minor league franchise for a period of usually two to four years. So, what does this mean for the 12 teams of the Eastern League? Eleven clubs will remain encumbered to their big league counterpart through at least the 2016 season. That leaves one team, the New Britain Rock Cats, in limbo heading into the 2015 season. This past Saturday night, Mike Berardino of the St. Paul Pioneer Press revealed that the Minnesota Twins were formally opting out of their PDC agreement with the team after a 20-year relationship. Although, it might have just been a procedural move at this point as Minnesota may still end up back with New Britain for another two-year deal. Today is the start of a two-week timeframe when Major League teams can begin negotiations with affiliates that essentially became free agents after their PDC deals expired after this season. Other than New Britain, there are only four other teams at the Double-A level that are currently without a parent club. The Tulsa Drillers are the lone team in the Texas League looking for a new major league team. Tulsa had been affiliated with the Rockies and now, by all accounts, appear set to become the Dodgers’ AA farm team. That would leave three Southern League teams available: Chattanooga, Mobile, and Biloxi. If the Twins prefer one of these locations that would leave either the Rockies, Diamondbacks, or Brewers possibly landing in New Britain which would add yet another National League team to the EL. It would also change the affiliate makeup of the league for the first time since 2003. 9/17 UPDATE: New Britain made it official by announcing their new partnership with the Colorado Rockies. 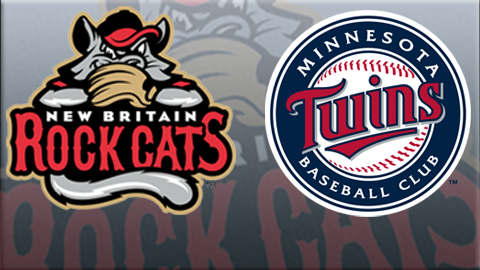 Reportedly, they will keep the Rock Cats name for 2015 and change when they move to Hartford for the 2016 season. This entry was posted in EL Roundtripper and tagged Eastern League, Minnesota Twins, New Britain Rock Cats. Bookmark the permalink.